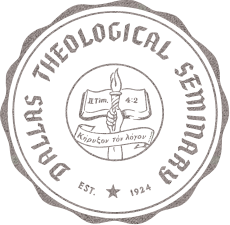 101 Things Jesus Has Done for You OP! 101 Things Jesus Has Done for You is ideal as a self-purchase or gift-purchase around the Easter season, but is likewise wonderful any time of the year people are looking for simple affirmations of their Christian faith. Who doesn't feel like they're being pulled in multiple directions? This book is a guide to evaluating those difficult-to-balance tasks and obligations to bring into focus the things that really matter. The questions guide readers to re-direct their life into simpler patterns that affect their thinking and daily habits. Useful for both individual and group reflections. Joyful quotations and spiritual wisdom from across the centuries will lift your heart! Hand-lettered words of wisdom are paired with joyful paintings and interactive exercises. 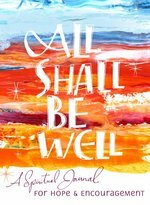 Featuring 60 inspiring quotes from saints like Julian of Norwich, Hildegard of Bingen, Thomas A Kampis, and more, along with uplifting, colorful art and writing prompts, this small personal journal encourages reflection, revelation, and creativity. A perfect gift to give yourself or someone you love. We may not be able to save the world, heal all the hurting people, or stop the people cutting us off in traffic. But we can always be kind. Amazing Grace: Prayers & Promises for Women incorporates more than 70 themes that help you connect with your Creator in all the different areas of your life. This beautifully designed book gives you easy access to God's promises about faithfulness, trust, wisdom, worth, beauty, strength, and much more, with uplifting prayers and journaling space for deeper reflection. By staying connected to God, and believing the promises of his Word, you can live a fulfilling, blessed life in close relationship with your heavenly Father. Many people are fascinated by angels, and some believe they have encountered them. In this beautifully illustrated book, Jane Williams traces the story of angels in the Jewish and Christian traditions. She shows how angels interact with humans at key moments in history, how they comfort and encourage, and how they move people forward in important ways and at special moments. As she explores angelic activity in the Scriptures, the author opens up for readers a universe that is far more complex and intriguing than many would believe possible. She examines issues and questions such as what angels look like, guardian angels, fallen angels, angels and Jesus, angels after the Bible, and more. This enchanting book will widen readers??? horizons and set them upon a voyage of discovery. 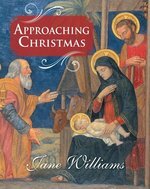 This beautiful and thoughtful companion to the season of Advent and Christmas encourages readers to explore the true meaning of the festive season through a combination of reflections, quotations and classic images. The chapters focus on objects and activities we all associate with Christmas - such as making lists, decorations, gifts, Christmas trees, music, food and family - as well as special days such as Christmas Eve and Epiphany. In each section, the author brings together personal experience, Christmas traditions, spiritual reflection and quotations from scripture and other writings through the ages. The result is an imaginative and stimulating exploration of the riches of this season - illustrated throughout with colour reproductions of classic Christmas-themed paintings. The world changed forever one Bethlehem night. Best-selling author Charles R. Swindoll invites us to sit back and enjoy his personal and engaging retelling of the first Christmas story. Combining both regal mystery and humble human experience, the book focuses on four major characters: Gabriel, Mary, Joseph, and Immanuel. "A Bethlehem Christmas" provides biblical insight with the heart and warmth of a gifted storyteller to bring what happened at the nativity tolife and renew the joyful hope of Christmas." When someone is grieving, what should we say? How can we help? How do we comfort without offering shallow platitudes? In times of sorrow Scripture beckons us to look up and out, because our help comes from the Lord. The Book of Comforts stands in the gap between suffering and hope, offering readers the abiding comfort found in Scripture. The Book of Comforts is a beautiful four-color book of 100 readings that offer biblical consolation and encouragement in seasons of trial and grief. Scripture selections are accompanied by brief devotions, alongside designed Scripture passages and photography. Grief, loss, and pain are significant and unavoidable parts of the human experience, but they're often overlooked or minimized. In moments of heartache and challenges we either crumble or we discover the richness of God's love. Scripture deals plainly and honestly with suffering and simultaneously points people the rich hope we find in God. The Book of Comforts offers a meaningful way to walk through hurt, heartache, challenges and difficulty, aided by the truth of God's Word. It is a beautiful and comforting gift for those in hard places--because though we don't always know what to say, the gift of divine consolation is always helpful. Adults of all ages everywhere who feel stressed and unfocused are quieting their minds and souls by putting away the smart phones and tablets and picking up pencils, markers and crayons to color. At home, in waiting rooms, in churches, on road trips - coloring books for adults are becoming more and more popular. These coloring books for adults from Paraclete are not only a simple path to making something beautiful, it has a spiritual element as well. For anyone who loves Celtic spirituality, coloring these 30 patterns each paired with a blessing, will relax the mind and enrich the heart. 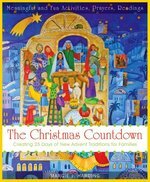 Create new family traditions for Advent!